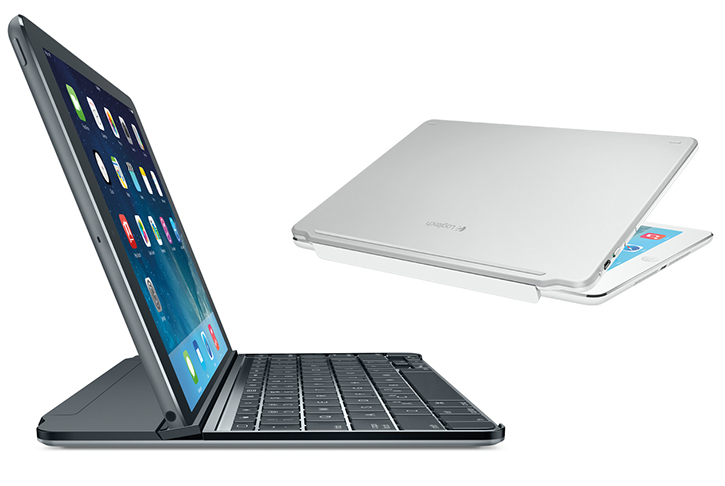 Logitech has announced that it has made a new and improved Ultrathin 2 keyboard cover for the iPad Air and iPad mini with Retina display today with improved flexibility and a more refined design compared to its predecessor - the original Ultrathin. The updated model is thinner at 6.4mm (compared to 7.3mm), and thanks to its rigid aluminum construction, it's also 2/3 the weight of iPad. Improvements in the Ultrathin 2 keyboard cover include a newly designed flexible multi-angle stand which securely holds onto your iPad while allowing you to pivot and adjust the viewing angle smoothly like a laptop screen in multiple angles. 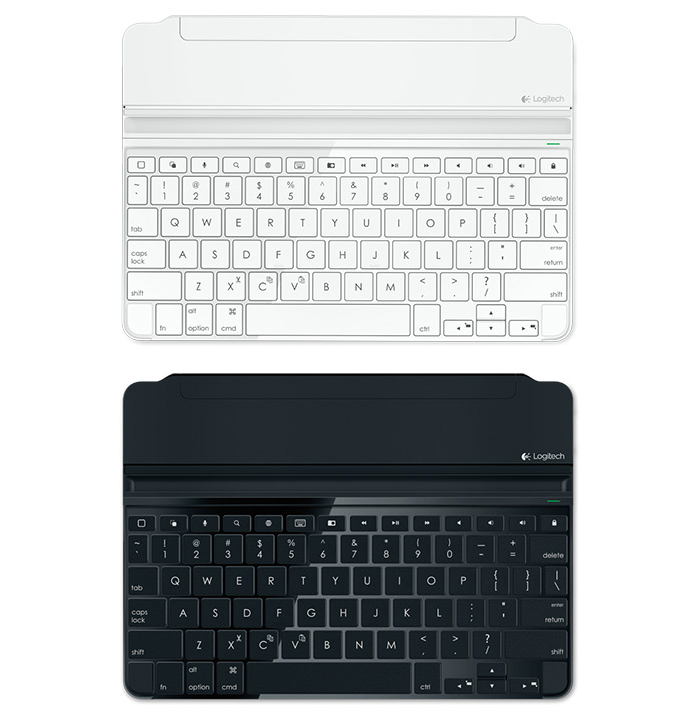 With a built-in rechargeable battery that Logitech claims will last up to 3 months with 2 hours of daily usage, the Ultrathin's Bluetooth keyboard features well-spaced keys with an optimized layout – complete with iOS shortcuts – to provide a familiar, fluid and comfortable typing experience. In addition to its flexible multi-angle hinge design, the Ultrathin 2 also features a more refined magnetic clip which is seamlessly hidden and integrated into the Ultrathin's body - will spring open when you want to attach your iPad to the cover for transport or storage as if it were a Smart Cover. Logitech's Ultrathin 2 keyboard cover was designed to perfectly match the Space Gray and silver white colors and materials of Apple's iPads using the same materials and refined finish. The Ultrathin 2 keyboard cover for the iPad Air and iPad mini is expected to start shipping in early May, but you can pre-order the iPad Air model for $100, and the iPad mini model for $90 in both white and in Space Gray.